MODERN ADDRESS Located at 50th St. in Afton, situated on a high hill. 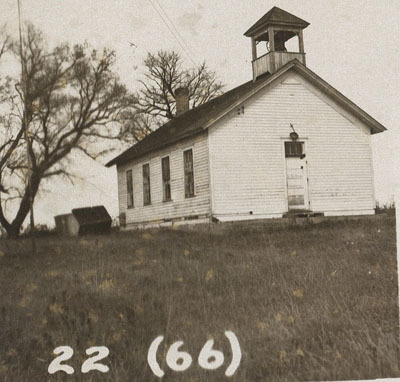 1884: School built in November. 1890s: Large wood shed added and minor improvements to school. 1950: Consolidated into District 22, then 834 5 years later. The school consisted of 5 grades: A, B, C, D, and E.
School was for 7 months starting in October. School was somewhat accessible, no library. Enrollment in 1898: 34 students. In 1938: 13 students.